Some courageous developers managed to string together amazing single page apps using a combination of jQuery, duct tape, and hope. While these apps looked amazing to end-users, for the developers working on them, the apps quickly turned into hulking piles of technical debt that made the dev team dread heading to work in the morning. As a result, a few enterprising developers began to work on frameworks that would bring Gmail-like apps within easy reach of web developers everywhere. SproutCore was the first of these frameworks to take off. It came with a complete set of widgets that made it possible to build complex web applications without even touching HTML or CSS. None of these frameworks rocketed to popularity. The world was waiting for something better. In 2010, that something better appeared—it was named Angular. Dependency injection, though, has proven its worth. And Angular made dependency injection easy to use for an audience that hadn’t used it much in the past. Need an HTTP client? Or perhaps you’d like to do some animation? No problem. Angular had built-in services for those. Just ask for them, and Angular would inject them into your components. No need to instantiate anything yourself. Or perhaps you wanted to use the browser’s window or location objects without making it impossible to unit test your components outside of a browser? Angular had you covered there too, with its built-in $window and $location services. At runtime, you’d get the browser objects you were expecting. And when running unit tests server-side in Node.js, you could pass mock services into your components to ensure they behaved as expected in various scenarios. If all of this wasn’t enough, Angular also made it simple to register and inject your own services. For developers who were used to binding all their data to the DOM and hoping for the best, this was awesome. If you were writing a new front-end app that called for APIs that would cost your company a lot of money if overused, you’d probably prefer to be able to write tests ahead of time to ensure that your application doesn’t try to do something like calling the Twilio API 800 million times. So you’d create a Twilio service that gets injected at runtime. At testing time, you’d create a mock service that records the cost of every API call your application is trying to make. You’d write tests that cover common usage scenarios and ensure that these scenarios don’t result in your company receiving a 7-figure bill. Overall, most developers found that Angular directives combined with dependency injection made it possible to write modular, testable front-end applications using tried-and-true software engineering techniques. Many development teams decided that this resulted in a happy state of affairs, and decided to go all-in on Angular. While things were mostly great in the world of Angular, it wasn’t all sunshine and lollipops. Developers were starting to run into severe performance problems when they tried to bind too many model objects to too many DOM elements. Some applications slowed to a crawl. Direct calls to $digest and other black-magic sorcery started becoming necessary to achieve acceptable performance. Around the same time, a new challenger appeared: React. At first, React didn’t seem to pose too large a danger to Angular. After all, these React weirdos had gone to the trouble of inventing JSX, which looked a lot like a way to mix markup into your code. Hadn’t we gone to a lot of trouble to invent templating languages for the explicit reason of avoiding mixing markup and code? As it turned out, React’s approach was pretty popular in the front-end development community. It didn’t rocket to popularity, however. Angular was still dominant, and it looked like it would remain that way. Until that is, Angular’s popularity was given a good kick in the teeth from an unexpected source: the Angular team itself. Angular 2 was first announced at the ng-europe conference in 2014. The Angular team’s plans came as a shock to the Angular community, to say the least. Reaction from Angular developers was swift and negative... and not without reason. Angular 2 would be getting rid of many familiar concepts from Angular 1, introducing a new, incompatible templating language (and oh, by the way) would also be programmed using an entirely new language. As a result of all of this, AngularJS developers lost faith in the framework’s future. They threatened to move to a new framework on future projects, and that is precisely what many of them did. React was the biggest beneficiary of the mass exodus from AngularJS. Although React didn't do as much as AngularJS, in a way that was positive. If you’re using a view library that doesn’t try to include everything plus the kitchen sink, it’s a lot more difficult for the developers of that library to pull the rug out from under you in the future. In the beginning, using React was a bit of a pain compared to AngularJS. You had to cobble together a patchwork of libraries just to cover the functionality the AngularJS provided out of the box. Many teams saw this as a good way to reduce risk, because it was unlikely that the developers of all of those libraries would decide to make backward incompatible breaking changes at the same time, which is essentially what Angular had done. To compound AngularJS’ woes, another framework named Vue showed up at about the same time the drama over Angular 2 was occurring. Vue was inspired by AngularJS but aimed to simplify it and get rid of what Vue’s creator saw as unnecessary complexity (so Vue felt very familiar to existing AngularJS developers). Vue provided a safe haven for many AngularJS developers who didn’t want to move over to React. This doesn’t mean that AngularJS developers were not waiting patiently for Angular 2 to appear. But it’s clear that there was a mass exodus from AngularJS to React and Vue due to the uncertainty caused by the plans for Angular 2. Eventually, Angular 2 was released. As expected, it did away with many familiar concepts from AngularJS but kept a few of the best pieces like services and dependency injection. Fortunately for the sanity of developers, Angular uses plain TypeScript and not a fork as originally planned. To make things more confusing, the Angular team maintained a fork of the new framework that used the Dart programming language instead of TypeScript. Initially, the TypeScript and Dart versions were developed in sync, generated from a single code base. Eventually, the TS and Dart versions of Angular decided to go their separate ways, and Angular Dart now exists on its own. Even with this confusion, Angular’s popularity began to increase again after the Angular 2 release. It happened slowly. As often occurs in software development, trends shifted. Developers realized that a big, batteries-included framework might actually be useful. After all, when your application grows large enough, you end up actually needing all of those batteries. Enterprise developers, in particular, began moving back to Angular. This makes sense. Usually, when you start an enterprise web app, you know it is going to be complex. There’s no point in starting with a tiny MVP when you know from the beginning all 87 things your application is going to be expected to do. In a move that seemed odd at the time, the Angular team decided to skip version 3 entirely and move to version 4. This was done for good reason: the team working on Angular’s router package had already pushed ahead and released version 3, while the remainder of Angular was still at version 2.3. They decided to keep all Angular package versions in sync moving forward, and bumping everything up to version 4 for the next release was the easiest way to achieve this. Angular 4.3 added a new HTTP client that was easier to use than the old HTTP service. In Angular 5, the old HTTP service was deprecated and would be dropped in the next release. In spite of this inconvenience, there was relatively little grumbling because the upgrade in most cases was straightforward. Angular 5 also added better internationalization support and further build optimizations. Angular 6 and 7 were disappointing to some developers. There were no large changes, but there were many small quality of life improvements, especially to the Angular CLI tooling. The decreasing number of visible changes isn’t an indication that the Angular team has stopped innovating. Instead, it shows that the framework is mature, so the development team is now free to do more work behind the scenes, fixing bugs and improving performance. The stability of the framework since the release of Angular 2 has drawn some old-school AngularJS developers back into the Angular world. It has also attracted the attention of enterprise development teams. When you’re building enterprise apps that may live for decades it’s ideal to use a framework that gets new releases on a predictable schedule but doesn’t change too rapidly. A developer who had only used Angular 2 could be up and running and contributing to an Angular 7 app within minutes. And that brings us to today. As we’ve seen, Angular has come a long way. It has gone from loved by web developers to being reviled to being admired, although it isn’t yet loved again like it was in its early days. On the horizon, we have Angular 8. A ton of work has been done in Angular 8 to make it easy to use with the Bazel build system, which is absolutely amazing news for all 3 developers who are using it outside of Google. 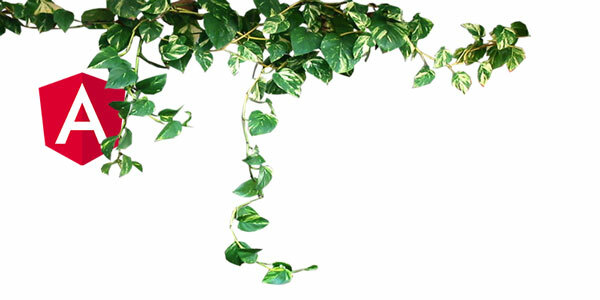 More excitingly, though, the Angular team is hard at work on a new rendered called Angular Ivy. It’s intended to be a drop-in replacement for the current rendered. For the most part, current apps won’t need to make any changes to use Angular Ivy. It is being written with an eye on efficiency, so it will accomplish the same tasks while executing far fewer CPU instructions. This will improve both the battery life and the sanity of users with less-than-powerful devices. 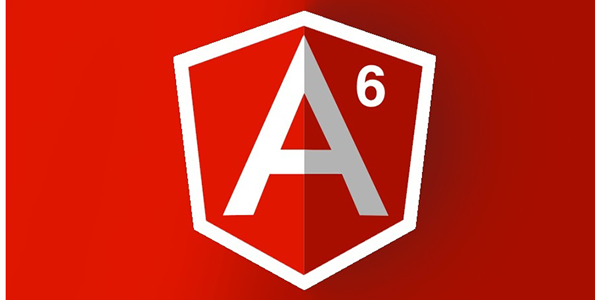 In addition to the bundle-size reduction and improved rendering speed, Angular Ivy has another few quality-of-life enhancements for Angular developers. Rebuild times are significantly faster. So if you’re running your app in development mode and waiting for your changes to appear, you’re now going to be spending a lot less time waiting. Template-type checking is improved, which means you’ll catch more errors at compile time instead of at runtime. Runtime template bugs are annoying, because they either bite you during testing, or they bite your users when they’re trying to use your app. The Angular Ivy template compiler will generate code that is human readable, which the current View Engine compiler doesn’t do. This will come in handy when trying to track down tough template bugs. The net result: smaller apps, faster apps, happier developers, and happier users. If you’ve been using Angular from its early days all the way until now, then congratulations! While there have been plenty of rough patches, we’ve ended up with a fast, modern framework that is fun to use. If you were an AngularJS developer but moved on to React, Vue, or something else, I encourage you to give Angular another look. It’s worth your time, even if you decide to stick with what you’re using now. And if you’ve never used Angular at all, why not give it a shot? We’ve just been on a whirlwind tour through Angular’s past, present, and future. Without a doubt, it has been quite a ride. Regardless of your Angular background, I hope you’ve enjoyed the tour! What framework do you work with and why? If you have questions or comments be sure to enter them below. Empower your development. Build better applications. 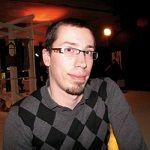 Ryan Peden is a full-stack developer from Toronto, Canada. He has been writing web apps since ES3 was state of the art.